At xotHost.com, we are committed to protect our user’s privacy. The information we collect is only for the puropse for which it is submitted. Information which is essential for the operation of our website such as that collected from web forms, emails, shopping cart, forum topics, traffic data, location data, user registration, and other means of communication, is kept in order to improve the user experience. We do not collect any credit card information. All the payments are made using secure payment gateway through PayPal, or 2Checkout, and that information is not stored in our servers. 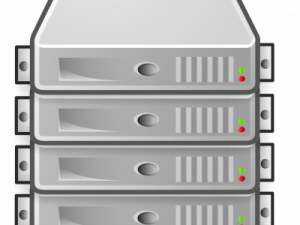 We do not monitor the content of the servers, Virtual Private Servers, or Desktop Cloud. We can however receive information of illegal usage of bandwidth either by our providers, spam monitors, or copyright holders, or any other concerned organization or person. That information is not from the servers, but it is gathered from the internet. We may gather some information regarding your computer for our services. That information is only for statistical purposes, and in order to improve our products and our website. That information is mathematical data about our visitors and does not give out any personal details. Information is only handled by xotHost.com staff (which also adheres to this policy), and we do not give it away or sell it to any third parties. In case of violation of our Terms and Conditions, information may be handled to companies such as spamhaus or Do Not Host Blacklist. Information may also be handled to law enforcement if required.